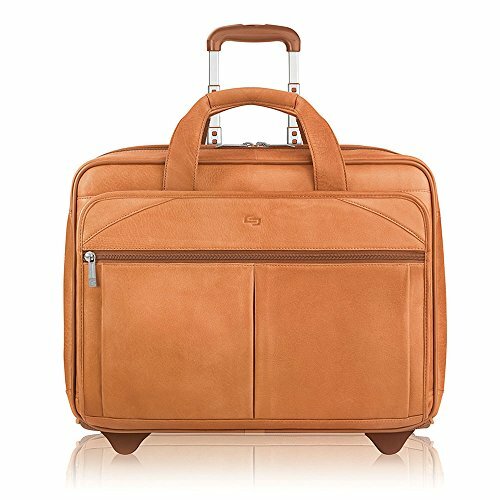 Main compartment contains a removable padded CheckFastTM sleeve which holds a 15.6" laptop. Front zippered compartment features organizer with Velcro flap closure mesh pocket, open and cushioned carry handles. Zippered pockets, disk pockets, business card holder, and key fob. Back compartment contains additional accessory pockets and hidden, telescoping handle system.